Radar from 1:19pm EDT. Extreme winds have begun in Marco Island. 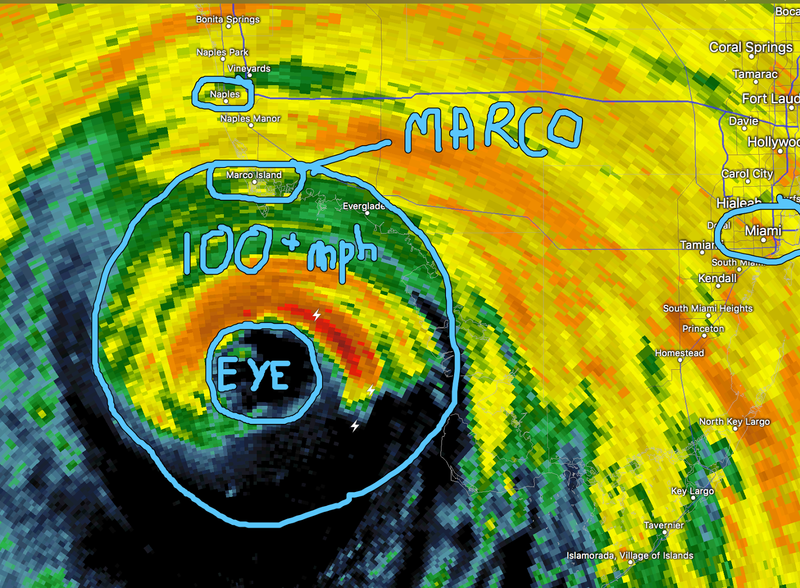 Naples has already had a gust of 103 mph. Both areas, Marco Island and Naples, will experience winds gusts to 115mph or higher during the next three hours. Extreme storm surge risk. There is cloud-to-ground lightning in the eyeball.